December 5th is designated as International Volunteer Day (IVD). Established in 1985 by the United Nations, it aims to celebrate the power and potential of volunteerism around the globe and mark the contribution that volunteering makes to different societies. All around the world, local, national and international volunteer organisations, together with individual volunteers will showcase their work and highlight the important role they play. It could be at a litter-picking rally, a charity-shop open day, or a volunteer-recruitment or fundraising fair. But whatever form volunteering takes, IVD is a unique opportunity to celebrate volunteering, connect with other like-minded individuals and agencies, and support this vital part of modern life. 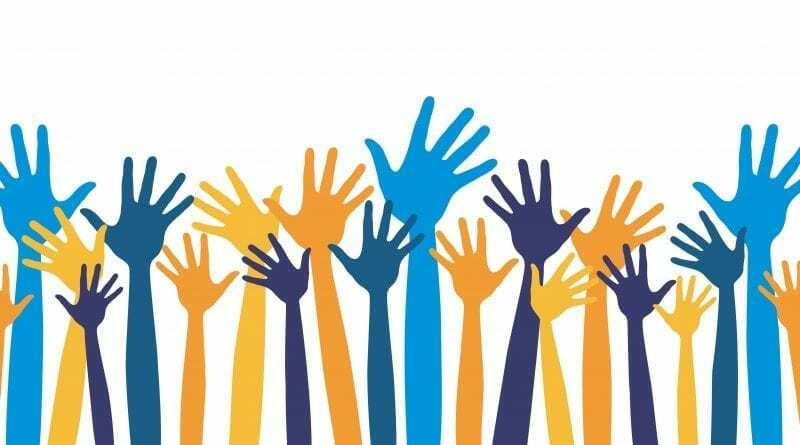 What are volunteering and volunteerism? Volunteering is when people freely give up their own time to do something of benefit to other people, the environment or a community outside their own family unit. Unlike employment, it is something that is not done for commercial or financial gain. Volunteerism is the use or involvement of volunteer labour, especially in community services. As a pre-school or nursery, your organisation and staff might be involved in both aspects. Volunteering is common to all cultures and every year, hundreds of millions of people give their time and use their skills to improve the lives of others. They could be volunteering on a child’s pre-school outing, rebuilding a community park, running a local youth group or dedicating 6 months or more of their lives to volunteer abroad on a dedicated United Nations’ project. The list of opportunities is endless. At the basis of all volunteering however, is a genuine act of kindness and a desire to make the world a better place. It can create new partnerships, help build metaphorical or literal bridges, and secure a sustainable future for projects which might otherwise not be possible. Think of the organisations you know that rely on volunteers: charity shops, the National Trust, hospital radio, community shops, parish councils, youth groups, and guiding or scouting troupes. These are just some of the organisations that would struggle to survive without the army of volunteers that make up most of their workforce. A UK report also found that over 160,000 voluntary organisations contribute £12.2 billion to the UK economy. So volunteering is big business. Raise awareness of the day. In a nursery setting you could create and put up posters to educate more people about the day or investigate ways in which volunteering is helping your own local community. Celebrate and report the work of your volunteers and/or your own volunteering. This could be a special lunch or information evening, sharing successes with parents, children or the local press. Become a volunteer. Why not investigate volunteering opportunities in your area? This doesn’t need to be too formal either. You could take the children to a local park for a litter-picking session, for example. Build wider partnerships. If your organisation runs a corporate volunteering programme, you could use IVD to widen the level of staff engagement or start a programme if you don’t already run one. Why do you want to get involved in volunteering or volunteerism? What do you want to do or what can you offer volunteers? What particular skills do you have to give, or do you need in your organisation? Facing new challenges and learning new skills – you might invite volunteers in to your setting to teach your staff and students new skills (e.g. forest skills or cooking). Building stronger communities as more people take ownership of their local environment or community projects. Volunteering can lead to better health and a sense of well-being as people feel they are making a positive contribution. Personal development and improved career prospects. Ensure that you carry out proper checks on new volunteers, as you would for any new staff member, especially if volunteers are working with children. In the nursery setting, volunteers are often parents or carers of children in the group, but you should always follow your safeguarding and recruitment procedures. This will often mean planning things well in advance. For example, if people are asked to volunteer on school trips or at special events. Remember too, that volunteering is a two-way process and the best partnerships are those that benefit both sides, ensuring the needs of each are met, and bringing about lasting change for all involved.